Ms. Yvonne Canady, 52, of 1012 Atlantic Street, Wilson, NC, passed away on Sunday, March 24, 2018 at her home. The funeral service is scheduled for Saturday, March 30, 2019 at 11:00 a.m. at Stevens Funeral Home, 1820 Martin Luther King Jr. Pkwy., Wilson, NC. The public viewing will be Friday, March 29, 2019 from 3:00 to 6:00 p.m. at Stevens Funeral Home. Burial will be in Rest Haven Cemetery, Lane Street Ext., Wilson, NC. The family will meet friends at the residence at all times and will assemble there on Saturday at 10:00 a.m. in preparation for the funeral procession. 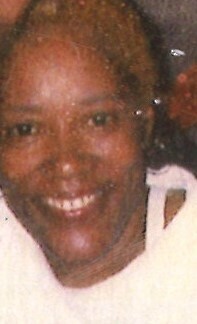 Ms. Canady was preceded in death by one sister, Judy Carol Canady. She leave many loving and cherished memories to: her children, Marine Canady Jones, Princess Canady Jones, Jeremy Canady Jones and Sabrina Canady Jones; her grandchildren, Serenity Smith Jones, Nalijah Smith Jones, Kyeem Smith, Jeremy Jones, Jr., Jeremiah Jones, Janiah Jones, Keyasiia Swinney and King Swinney; her parents, Josephine Robinson and Charlie Canady, Jr.; three sisters, Annette Dowdy (Ronald) and Jeanette Canady, both of Wilson, NC and Victoria Canady of Durham, NC; three brothers, Antonio Williams, Charlie Canady, III and Joseph Wayne Canady, all of Wilson, NC; and a host of nieces, nephews, cousins, other relatives and friends including a special cousin who was also her caretaker, Jeanette Best and a special uncle, Percy Batts. Condolences may be posted to www.stevenfamilyfuneralhome.com or faxed to 252-991-5849.